NEW YORK -- AARP New York, Attorney General Eric Schneiderman and the NYPD continue to collaborate to help New Yorkers Fight Back Against Fraud. Together, the three organizations joined forces on Operation: Stop Scams, a series of 15 shredding events across the state to help New Yorkers discard sensitive documents and prevent identity theft. This initiative is part of AARP's Fraud Watch Network, an educational campaign designed to arm people of all ages with the tools they need to spot and avoid scams. With increasing frequency, con artists are devising new and devious ways to steal your hard-earned money, including tax scams, tech-support scams, social media scams, oil and gas scams, sweepstakes and lottery scams, grandparent scams and many more. That is why, one of the most important steps you can take, and your best weapon against fraud is vigilance. Just taking a few practical steps can protect you and your family from identity theft. One step is to monitor your credit report from any of the three credit report agencies for irregular activity. According to the Federal Trade Commission, you're entitled to one free copy of your credit report every 12 months from each of the three nationwide credit reporting companies. The AARP Fraud Watch Network puts proven tools and resources right at your fingertips - from news articles, to fraud literacy quizzes, to a scam-tracking map that tells you about fraud in your community. In keeping true to its mission of protecting the financial security of older adults, AARP New York with ABC7 want you to stay vigilant to help you prevent scams. There is power in numbers. The more people who get involved, the more power you will have to protect yourself and your loved ones from fraud and scammers. 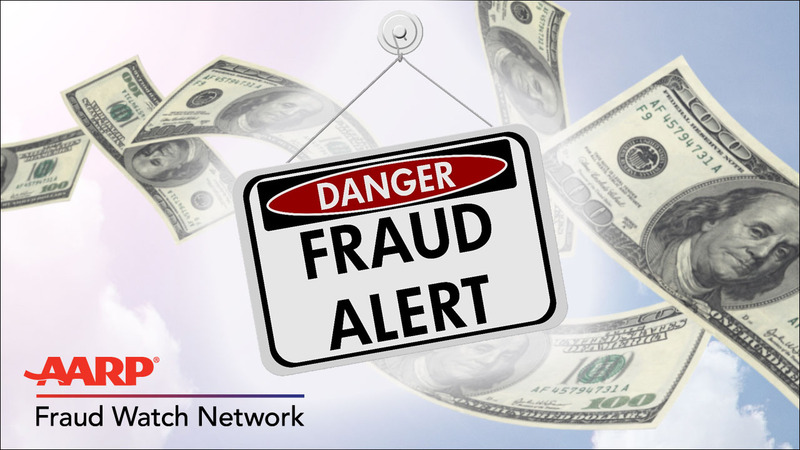 To get more information, visit www.aarp.org/fraudwatchnetwork or call 877-908-3360.